AmigaRemix - The place for Amiga Game- and Demo-music Remixes! 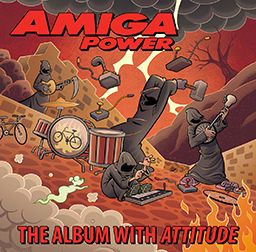 2019-04-06 11:35:05 · New Amiga music Kickstarter project! Slow start of the year for AmigaRemix.com due to various reasons, such as life. However, now there's an awesomely ambitious Amiga music project brewing over at Kickstarter. Lots of great music with lots of awesome musicians involved, so go check it out and make a pledge to help it become a reality! Funding ends on April 28th. Sorted by in ascending order. All 1279 remixes shown, 40 at a time. At the moment, there is 1 remix in the submission queue. All files provided for download on this site are assumed to be freely distributable. In the event that a file here is not freely distributable, please contact the site maintainer for immediate file removal. By downloading any files here you acknowledge that you will not hold the webmaster or our host liable for any damages. When submitting a track to AmigaRemix, the arranger allows visitors to download and enjoy the files for themselves. If you want to use a track for anything else, make sure to contact the arranger to see if that is ok or not. AmigaRemix.com does not hold any rights to either these remixes or their original compositions, but the rights are held by each respective author.